Ivanka Trump must give a deposition in a lawsuit by an Italian shoemaker claiming her fashion label copied its designs, a federal judge has ruled. 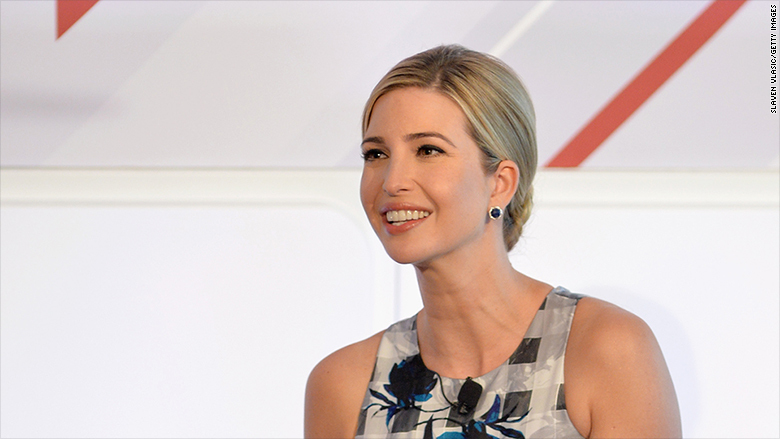 Aquazurra Italia filed the suit against Ivanka Trump and her company in June 2016. 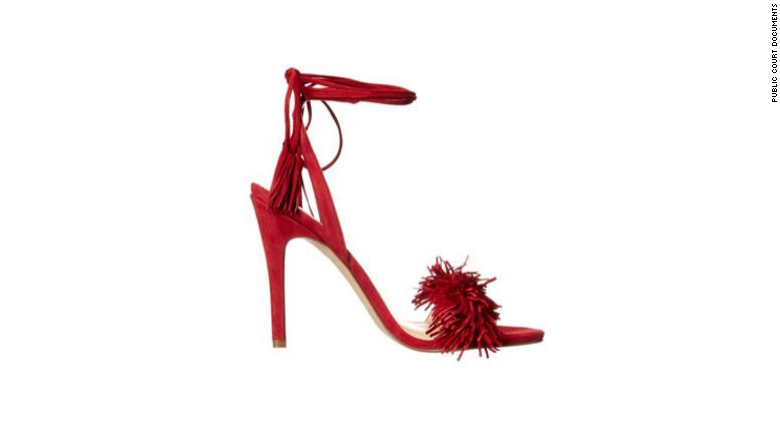 It claims the brand has produced cheaper knockoffs of Aquazurra's "coveted" and highly publicized shoe designs. At the heart of the lawsuit is Aquazurra's "Wild Things" shoe. 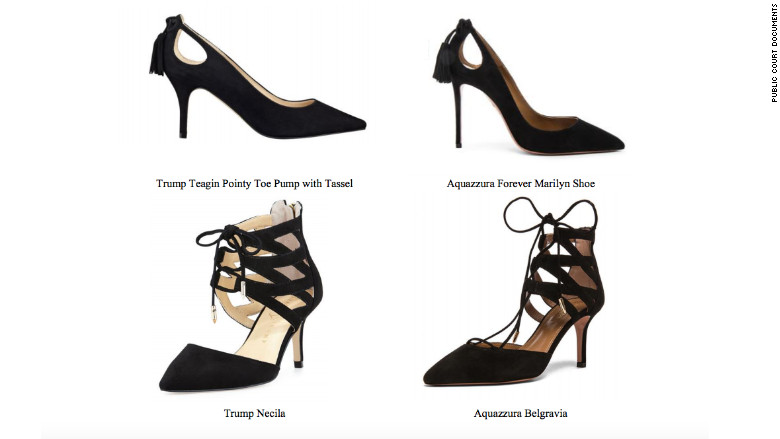 The company says the Ivanka Trump brand's "Hettie" shoe too closely resembles the Aquazurra design. Ivanka Trump's lawyers have staunchly denied those allegations, according to court documents. They say the Aquazurra design lacks the "distinctiveness" it would need to be protected by intellectual property laws. Her lawyers have also said the lawsuit is a publicity stunt. Ivanka Trump stepped down from her role at her namesake company shortly before her father was inaugurated in January. She currently serves in an unpaid White House role as an adviser to President Trump. Earlier this month, Ivanka Trump's lawyers argued that she should not be deposed because she "does not possess any unique information" about the design process for the shoes in question. The lawyers also said that Trump should be exempt because of her "special circumstances." Forcing Ivanka Trump to be deposed "would be an unnecessary distraction and would interfere with her ability to perform her duties at the White House." But the judge overseeing the case, U.S. District Judge Katherine Forrest, denied that request in a ruling Friday. Forrest wrote that Ivanka Trump's deposition is necessary because she was a company executive during the time the shoes were made and had "high-level, authoritative, personal involvement" in the company. Ivanka Trump's company declined to comment. Her lawyers did not immediately respond to CNNMoney's request for comment. The judge also wrote that "Ms. Trump's public statements regarding active and comprehensive brand management lead to a reasonable inference that the shoe at issue would not have been released without her approval." Forrest ruled that Trump's deposition must be kept to under two hours and done in Washington, D.C., where she currently resides. It must be completed by October, the judge said. The "Hettie" shoe design won't be the only matter up for discussion. The complaint points to two other Ivanka Trump designs that Aquazurra claims have mimicked its own designs.